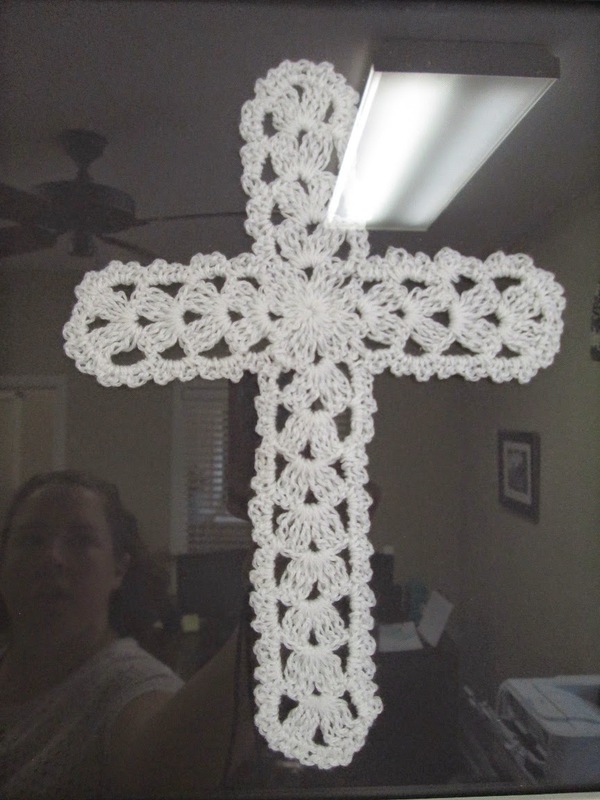 The admin assistant at church has created a cross wall in her office, and she asked for donations/loans of crosses. 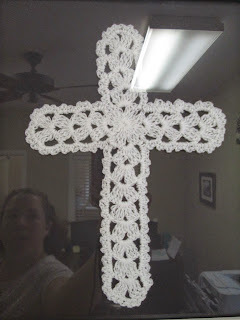 I have so much thread that I decided to whip up a crocheted cross. I made it in less than an hour, although the pattern was tricky enough that it took me a few tries to get it started correctly. One pin I found was from the blog The View From My Hook -- a free pattern for the Kassia Empire Waist Dress. It took me a while to get the tulle for the skirt. Walmart was almost entirely out of them, but I eventually made a trip to Michaels and found them (cheaper than at Walmart too -- $3/roll and I bought three, although I only used two on Jane's skirt). 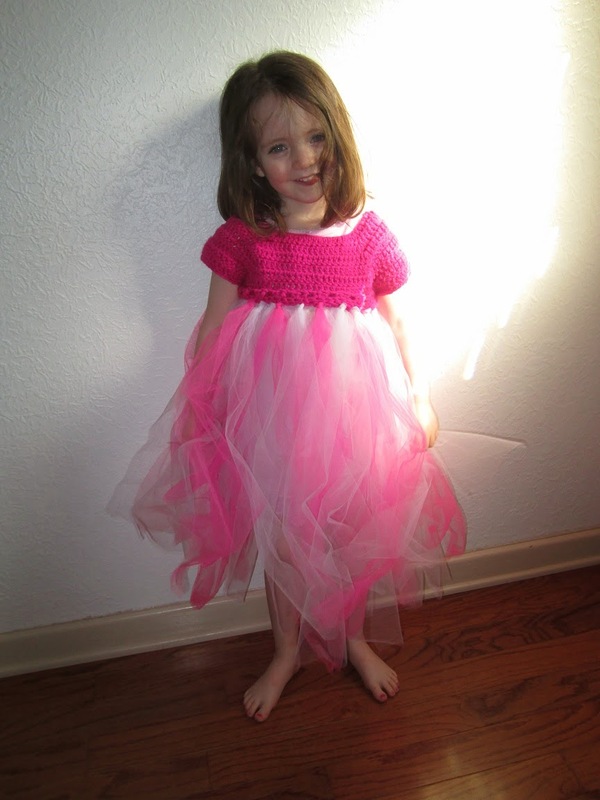 For the top I used some stash Red Heart hot pink yarn. I thought I had more pink choices left over from my hat making time, but they must just be small remnants in my bag-of-yarn-balls. The top pattern was OK, although I really think a lighter weight yarn would be better and offer greater drape. After making Jane's cape and a couple jackets I definitely see the value of using smaller yarn for better clothes. I misread the instructions on the skirt and didn't use two strips of tulle held together for each knot. I would have used the third roll if I'd done that, and the skirt would be even fuller. For a dress up, play dress it's plenty full I think. Jane loves it and said "It's so pretty!" the first time she saw it. I also could have been more precise in the strips' lengths -- they vary a bit, even though I trimmed them after the skirt was complete. Oh well. I'm not sure if it's the yarn or the pattern, but row 9 of the top (which is below the row 8 where I added in the tulle skirt) flips up and exposes the tulle knots. I should probably add a row 10 to try to give it weight to hold down (or maybe blocking/ironing would get it to go the right direction). 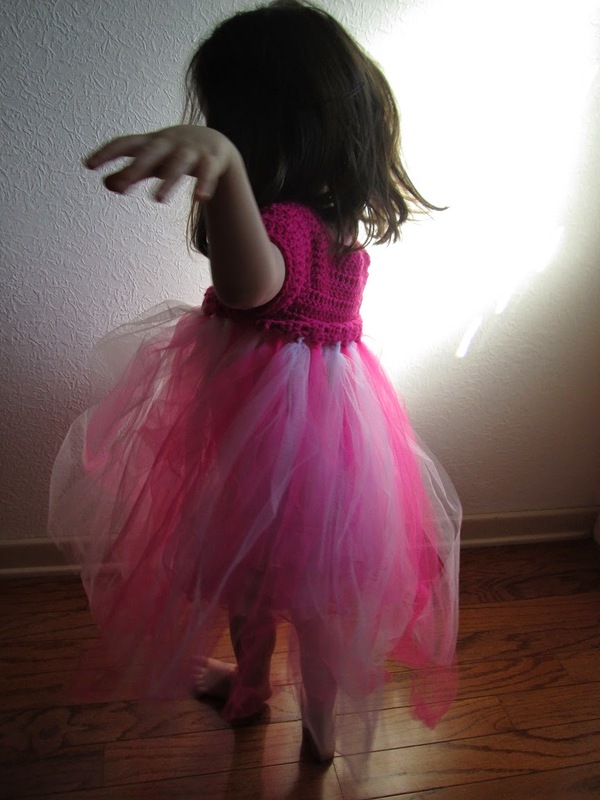 I probably won't do anything for this one, but I might try to make another one with a shorter skirt using the third spool of tulle I have left. I might use a different top pattern -- maybe the top of the swingset cardigan and have it button in the back? Possibilities are endless! A friend posted some cute pictures of babies wearing mermaid tails on Facebook. She wondered if she knew anyone who could make such a thing. I raised my (virtual) hand and got to work with some stash yarn. It's been so fun. I love quick, little projects (and remember why I loved making all those blasted hats ... of which I probably have 40+ left!). 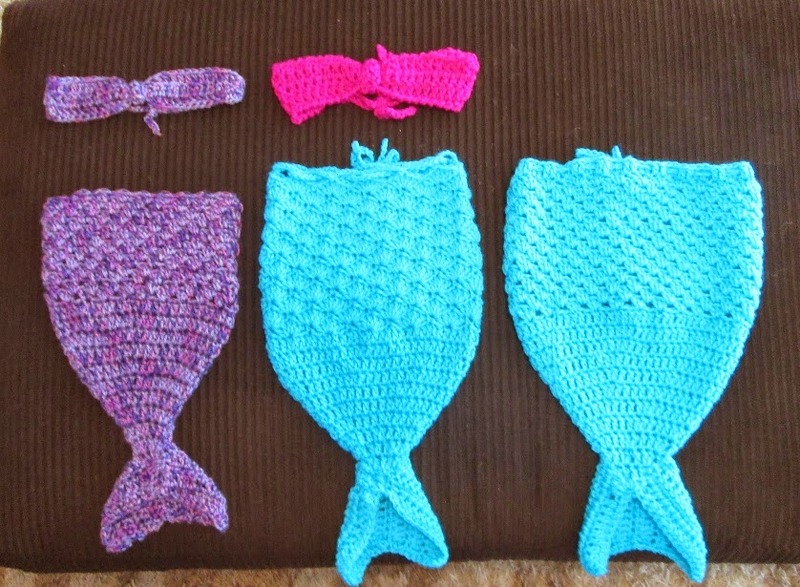 I found two free patterns: Mermaid Newborn Cozy and Mermaid Tail Cocoon. I kept crocheting, trying to get the waist the right size. Finally I think I got enough options and we'll see if baby girl can fit into one of them. 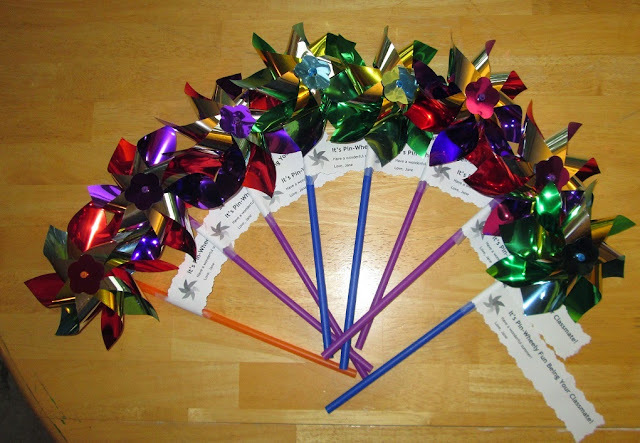 I plan to get them in the mail today. I love the purple the best, but I think it's going to be too small. In the two bigger blue ones I added waist bands -- just a long chain woven between a row of double crochet to make it cinchable, on the off chance that I did get one too big. I improvised the tops (and only made two because I think they're adjustable enough) -- just 3-4 rows of double crochet with a small double crochet row tied together in the front middle and long chains to add to the back. They are definitely just for show!